We came across a machine with some display damage. This MacBook Air Screen Damage resulted in having the entire left side of the machine display become useless. 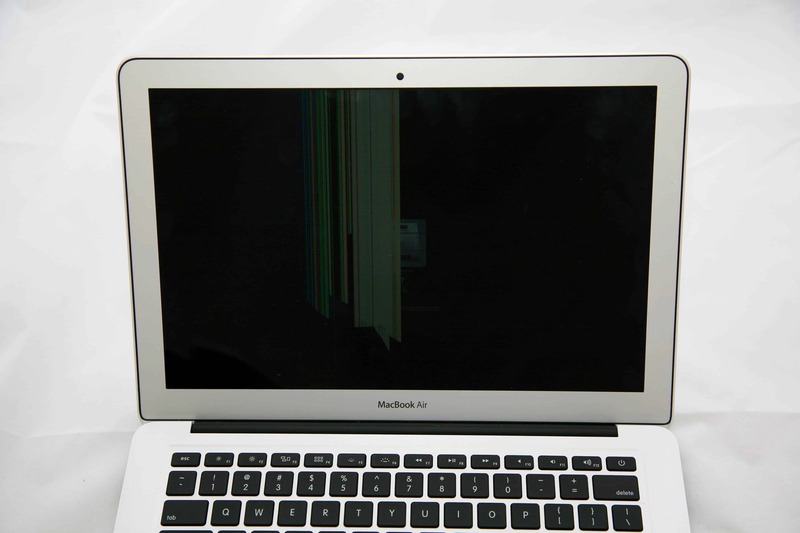 MacBook Air Screen Damage is not uncommon due to the thinness of the components. 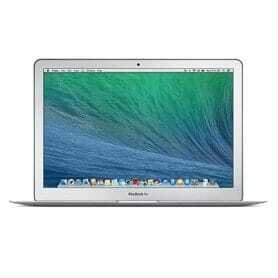 If you have experienced display damage on your MacBook air, do not despair! We are here to help. MacBook Air Screen Damage. Once the damage occurred, the left side of the screen became useless until we repaired it. The MacBook Air pictured above is a perfect example of a MacBook Air Screen Repair. The screen repair was required in order to get the computer fully functional again. One of the questions we get asked quite a bit is if you need to backup your computer before sending it in. The short answer is yes! Always have a complete backup of your data because you never know when a failure will happen. But the longer answer is that we do not erase or view files on your computer during the repair process. So unlike Apple, we will not erase your computer during service.